Tough applications require tough machines. In today’s economy, you can’t afford unscheduled downtime — you need equipment that maximizes your uptime and productivity. 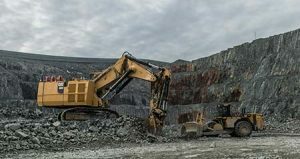 When it comes to quarry and aggregate work, you’ll get more production from equipment designed specifically for your application. Caterpillar® is a global leader in providing sustainable solutions that help boost your bottom line. From wheel loaders to excavators, Cat® machines are available to meet all the challenges of the aggregate industry. 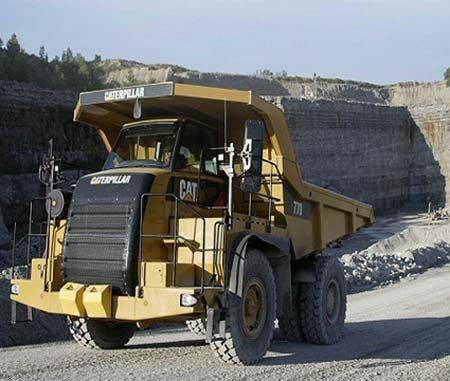 Cat equipment sets the standard for reliability, productivity, fuel efficiency, versatility and operator comfort in all quarry and aggregate applications. The current generation of machines — available only from Gregory Poole — apply sophisticated technologies systematically and strategically to meet our clients’ high expectations for power and fuel efficiency. Deep system integration results in reduced emissions and improved fuel economy without interrupting machine performance. Make your Cat wheel loader or another machine even more versatile by pairing it with a broad range of work tools, including heavy-duty buckets, pallet forks and other options. No matter what your material or handling job is, a Gregory Poole representative can help you choose the combination of machine and equipment that best matches your needs. With roots dating back to 1951, Gregory Poole has been a partner to the quarry and aggregate industry for more than 65 years. We understand your priorities and can help you meet your goals. We provide the most advanced machinery on the market today and back it up with world-class service. Contact any of our locations today for more information.